social media | R-Tools Technology inc.
Instagram is releasing an update to the popular app today. This update comes with a lot of photo editing tools that may mean you’ll never have to use that PhotoShop app again. What’s new? Facebook is about to change the company’s privacy settings, again. This time around, new users won’t be subjected to sharing all updates with the world. Will Facebook finally defeat Snapchat? Facebook’s newest app will be called Slingshot (internally, at least), and it was developed to rival Snapchat. Apparently, a video messaging app is what Facebook needs the most now. 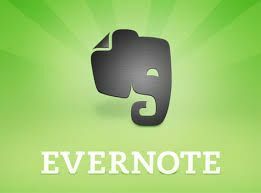 LinkedIn and Evernote are teaming up to make your Evernote app even better. A business card addition to the app makes it possible to store business card information. Now, LinkedIn will be adding details to that information by pulling additional details from LinkedIn profiles to add to business card collections. Is Twitter A Good Investment? The social media company got off to a bang with shares as high as $74 in December. The stock has recently slumped to $37.24. The reason for the stock slump is two-fold. On one hand, Twitter’s growth has been slowing. On the other hand, banks are offering investors conflicting advice where investments are concerned. Should you invest? Twitter told the world that it would soon be displaying new types of ads in Twitter feeds. Well, the company has made good on that promise today. Across the globe, Twitter users will now see advertisements directly in a feed.